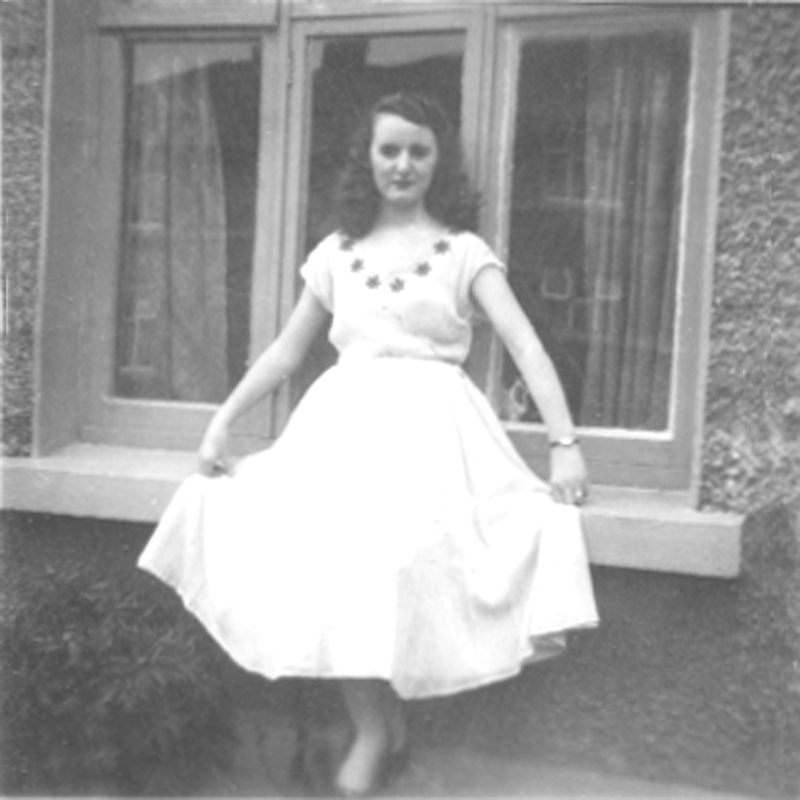 My mother’s family were all farmers in Tipperary. So they were great to us when we were young because they used to send stuff up from Tipperary. We’d go down and meet the bus coming up the Quays and there’d be potatoes and eggs and big lumps of ham and you know, homemade country butter and maybe a chicken. At Christmas the turkey was sent up and the ham and we’d go down and pick that up. And me Ma’ would pluck it and clean it. She hated that but she’d make a game out of it putting her arm in and pulling out all the insides. They were very happy times. They even used to send turf up to us in a bag and we’d collect it from the bus. The parcels came from America then. Me Mam had a brother who had emigrated to America. He was from Gallows Hill just inside Tipperary. Jack lived near New York and he used to come home every couple of years and stay with me Mam in Cabra. New Jersey I think they lived in. The parcels that were sent home had dresses and cardigans and coats and shoes and everything. They practically dressed us. They’d be lovely stuff and then there’d be stuff that was too big for you but you were made wear it.